Federal lawmakers have been talking about reforming the occupational-licensing regime for years. And despite widespread agreement on the right and left that licensing requirements are often unnecessary and burdensome — serving mainly to limit job opportunities and impede economic growth — attempts at reform at the national level have been rare, and those reforms that have been proposed have had little impact. Yet the federal government is far from powerless to help. While it is true that most far-reaching reforms must take place at the state level, there are many ways in which the federal government can reduce licensing barriers nationwide, while paving the way for states to pursue their own reforms. Licensing has long been a common feature of American economic life, particularly following the Supreme Court's 1889 decision in Dent v. West Virginia, which upheld West Virginia's medical-licensing system. That ruling ushered in an era of follow-up decisions that preserved licensing regimes for a wide array of trades and occupations around the country. Today, such requirements are ubiquitous. Groups like the Institute for Justice have even developed a cottage industry of sorts out of exposing credulity-straining licensing rules, such as Texas's requirement that eyebrow threaders complete 750 hours of training at a cost of up to $9,000, or Savannah, Georgia's 100-question multiple-choice exam for city tour guides. Many of these requirements have little or no connection to safety or public health; according to IJ, the average cosmetologist spends 386 days in training before earning a license, compared to just 34 days for emergency medical technicians. And in recent years, the harmful effects of such practices have become more apparent. In November 2017, IJ released an update to its landmark "License to Work" report, which chronicled licensing requirements in each of the 50 states for 102 low- and moderate-income jobs. The study found that, nationwide, the average licensing applicant is required to complete nearly a year of training, pass at least one exam, and pay over $260 in fees before joining an occupation or trade. The report also found that about one in four U.S. workers must obtain government permission to pursue a chosen career — even for such occupations as florist or animal massager. 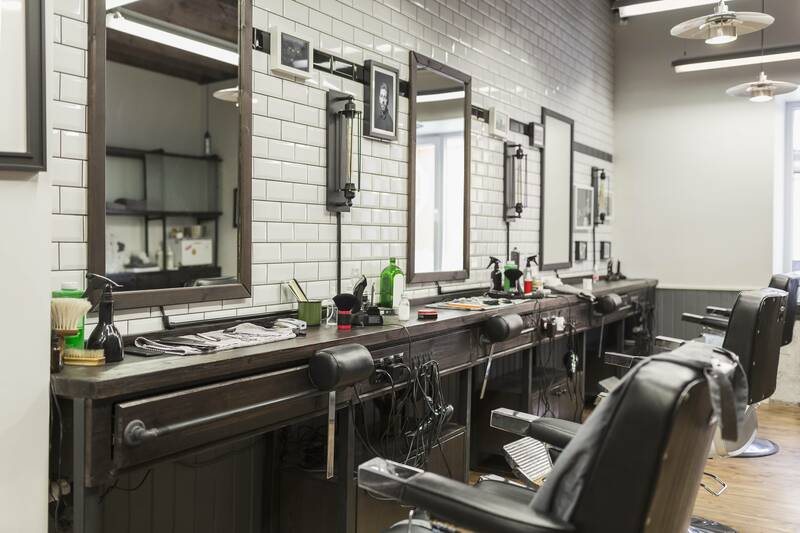 As a 2016 report from the Brookings Institution noted, "[R]estrictions from occupational licensing can result in up to 2.85 million fewer jobs nationwide, with an annual cost to consumers of $203 billion." These requirements pose significant and seemingly pointless barriers to entry, particularly for low-income individuals who may not have the resources to spend, say, $8,000 to attend cosmetology school. Further, even those who do obtain the necessary licensure in one state are often barred from practicing their trade in other states without undergoing further training at additional cost. Beyond limiting upward mobility, licensing thus limits geographic mobility — historically a key component of economic success in the U.S.
What's more, the public stands to gain very little from most of these mandates. Too often, incumbent members of licensed occupations intentionally promote stringent licensing requirements as a form of economic rent-seeking, sometimes called "opportunity hoarding." The more difficult it is for new members to join a given profession, of course, the less competition established members of the profession will face. For example, Louisiana's Horticulture Commission administers an exam for aspiring florists that originally included a hands-on practical portion in which they created flower arrangements that were graded by already-licensed florists. Needless to say, the incumbent florists had a direct financial incentive to grade harshly and thus prevent new competitors from joining the field. The desire to reform such practices has been unusually bipartisan. Both the Obama and Trump administrations have focused on the issue, and governors as ideologically distinct as Massachusetts Democrat Deval Patrick and Arizona Republican Doug Ducey have pursued licensing reform in their respective states. Efforts to shed light on the issue received a particularly encouraging boost in 2015, when the Obama administration released a report concluding that "licensing restricts mobility across States, increases the cost of goods and services to consumers, and reduces access to jobs in licensed occupations." Despite this broad, cross-ideological agreement, however, relatively little actual progress has been made. Groups like IJ have achieved notable success in reforming abusive licensing requirements and narrowing the scope of licensure in discrete occupations, and several states have ordered reviews of licensing practices, but there has been no wide-ranging, systematic repeal of licensing laws across all 50 states. In fact, in the 40 years from 1974 to 2014, there were only eight instances of occupations being fully de-licensed at the state level, according to the Bureau of Labor Statistics. While there have been additional efforts since 2014, it's clear that a large-scale wave of de-licensure has not materialized. The result has been a sort of policy logjam, wherein there is strong awareness of the problem but scant enthusiasm for fixing it. Part of this may be due to the common misconception that licensing is solely a "state issue," and that the federal government ought to have a limited role in the matter. In fact, there is much that could be done at the national level to break the policy stalemate, while respecting the principles of federalism. Congress could exert its power in several spheres, including over federal funds, the District of Columbia, the U.S. military, and federal lands. The executive branch could assert itself by reforming licensing requirements for the millions of government employees and contractors over which it has sway. And the Federal Trade Commission is equipped with unique enforcement powers concerning federal antitrust laws that could be put to use in reforming state licensing boards across the country. In situations where the federal government cannot exert direct control, agencies like the FTC can still work with states to streamline existing licensing regimes and provide input on potential legislation. Fortunately, there are efforts already underway in Congress to spur reform. Legislation has been introduced in both chambers that would draw upon Congress's well-recognized power of the purse, as well as its control over the District of Columbia, federal property, and the military, to curtail or eliminate certain draconian licensing rules. Recently proposed bipartisan legislation by congressmen Tim Walberg and Henry Cuellar — along with its companion bill in the Senate — demonstrates how federal funds could be used responsibly to encourage licensing reform. The New Hope and Opportunity through the Power of Employment Act, or New HOPE Act, would give states the ability to use existing federal workforce-training funds to identify and eliminate licensing requirements that pose unnecessary barriers for workers. While the idea of using federal money to encourage states to adopt such reforms is not new, this legislation differs from most other proposals in that it would permit states to use only existing funds, rather than calling for new sources of funding. The Obama administration's 2015 report on occupational licensing, for example, recommended that the federal government "help to facilitate State reforms by providing information and resources to States." Accordingly, President Obama's fiscal year 2016 budget called for $15 million in new discretionary funding for the Department of Labor to "identify, explore, and address areas where licensing requirements create barriers to labor market entry or labor mobility." The Obama Labor Department also awarded a $7.5 million grant to the National Conference of State Legislatures to study license portability across state lines. In a similar vein, economist Morris Kleiner and others have suggested creating a system in which states could submit licensing-reform proposals to compete for federal grants. While this might incentivize states to reform their licensing regimes, it would still rely on new funding and be unnecessarily costly. The New HOPE Act, by contrast, does not call for any new money to be sent to the states. The bill would simply amend the Carl D. Perkins Career and Technical Education Act to encourage states to reduce licensing barriers. The Perkins Act provides federal support for states to promote technical education, and specifies the types of state activities for which the federal funding may be used. The New HOPE Act would expand this list to allow states to use funding "for the identification, consolidation, or elimination of licenses or certifications which pose an unnecessary barrier to entry for aspiring workers." In this way, the New HOPE Act strikes a federalist balance: It recognizes that, if federal funds are already being sent to states for workforce training and technical education, governors should be allowed to use that money to overhaul harmful licensing requirements. Any future jobs-related legislation that is passed by Congress and sends money to the states should similarly specify that such funds can be used to reduce licensure burdens. Republican senators Ben Sasse and Mike Lee have taken a somewhat different approach. They recently introduced the Alternatives to Licensing that Lower Obstacles to Work Act, which would permit the D.C. government to impose occupational-licensing requirements only "where less restrictive regulation will not suffice to protect consumers from present, significant, and substantiated harms that threaten public health, safety, or welfare." The bill would also recognize a general "freedom to engage in an occupation" and require D.C. to demonstrate an "important government interest" before imposing any licensure requirements. In other words, licensure would have to be directly tied to health and safety — not used as a backdoor means to stop people from competing in the marketplace. The ALLOW Act would also affect litigation practices in D.C. Under the bill, residents facing enforcement actions for working without a license could argue that the licensing rules in question failed to meet the standards of the ALLOW Act. Equally important, the bill would also require D.C. courts to make their "own findings of fact and conclusions of law" and "not grant any presumption to legislative determinations." This clarification of the burden of proof during litigation could have a profound impact on how courts review licensing laws. Many courts simply defer to a state licensing board or legislature's determination that licensure in a certain industry is necessary to protect the public. As noted above, however, health and safety concerns are frequently used as a pretext for raw economic protectionism. Requiring courts to examine the justifications for licensing mandates — and not just take the legislature's word for it — would likely result in many harmful rules being struck down. The bill would also help military spouses avoid having to obtain new licenses when being transferred across state lines, provided that they work on federal military installations (though some, like the Heritage Foundation's Paul Larkin, have argued that this provision should apply to all federally owned land, not just military installations). Since over 50% of military spouses require licensing or certification to work in their chosen field, and over 72% of those who need licenses would be forced to renew them upon moving to a new state, this would alleviate a significant burden on military families. It could also help to retain military talent: According to research from the Department of Defense, "Not only are military spouses highly influential regarding re-enlistment decisions, but more than two-thirds of married service members reported that their decision to re-enlist was largely or moderately affected by their spouses' career prospects." And while the Defense Department's State Liaison and Educational Opportunity office has encouraged states to increase licensing portability for military spouses in recent years, the ALLOW Act would offer an immediate, nationwide improvement. Finally, the bill would end occupational-licensing requirements for paid tour guides in certain types of national parks — a modest but meaningful reform. And beyond the concrete benefits the ALLOW Act would provide to those working on federal property, the bill lays out a model for licensing reform that states can immediately follow. As Senator Lee noted in remarks about the legislation, "The best part about this bill is that we don't need to wait for Congress to act — though we certainly hope it does...states can follow any one of these models right away." In addition to exercising control over federal enclaves such as D.C. and military bases, the federal government acts as a sizable employer and contractor. Today's executive branch employs more than 2.7 million people (4 million when the military is included), along with an estimated 7.5 million federal contract employees. Combined, these workers comprise about 7% of the nation's workforce. (The Bureau of Labor Statistics pegs the total civilian workforce at more than 161 million.) The sheer scope of its workforce means that the federal government has the capacity to be a policy leader in licensing simply by reviewing and reducing education and licensure requirements for its own employees. Some federal agencies have already taken steps to reduce licensing burdens affecting their employees. For example, the Department of Veterans Affairs recently finalized "scope-of-practice" reforms for advanced-practice nurse practitioners at VA hospitals, allowing them to prescribe drugs and work outside the direct supervision of doctors. Before this change, the VA had permitted only licensed physicians to provide such primary-care services, even though most nurse practitioners are trained in primary care. Like many licensing-reform pushes, the VA's efforts were heavily contested. The rule change received a record 200,000 comments, as physician groups, perhaps leery of increased competition from nurses, opposed it. Allowing nurse practitioners to do more of this kind of work, however, could break up the "licensing monopoly" held among doctors in the primary-care realm, and would directly benefit patients. Studies from both the Rand Corporation and the Mercatus Center have found that scope-of-practice reforms reduce medical costs and increase access to care. And as the Mercatus Center's Christopher Koopman has argued, since the VA manages hospitals all over the country, these reforms could spur state governments to institute similar changes, thus setting off a wave of health-care-licensure reform. The VA could go even further, though, by expanding the role of dental hygienists and dental therapists within its system. Like nurse practitioners, dental hygienists are often restricted in the types of dental services they can provide, especially when working outside the direct supervision of licensed dentists. Allowing these highly trained professionals to work independently could help expand access to care and lower costs. In doing so, the VA would be following the lead of the Indian Health Service, which has expanded dental care in rural Alaska by allowing dental aides, hygienists, and therapists to independently provide certain basic services. And recently, a number of states have considered or enacted legislation to expand the dental services that hygienists and therapists may provide. The executive branch could also reform licensing requirements among federal contractors by eliminating unnecessary qualifications from its contracts. Under the Federal Property and Administrative Services Act, the president is granted significant leeway in the federal procurement process; the law allows the president to "prescribe policies and directives" that he "considers necessary" to carry out the statutory purposes of "economical and efficient" procurement. Given the sheer size of the federal contracting workforce, reducing extraneous requirements in these contracts could have a significant impact. Even companies that are only incidental beneficiaries of federal contracts might voluntarily implement policies that reflect federal contracting rules and priorities. The president could also direct agencies like the General Services Administration to conduct reviews of licensing requirements in federal contracts and identify those that are unnecessary, redundant, or overly burdensome. For example, a contract for security-guard services for a federal building in Detroit might only accept security-guard licenses issued by the state of Michigan. In such a situation, procurement practices could be tweaked to allow eligibility for contractors with an equivalent license from another state. Since the contract would involve the provision of services to the federal government on federal property, any federalism concerns would be mitigated. Finally, the federal government could reform hiring restrictions for those with criminal records. The American Bar Association has estimated that 32,000 state laws concerning occupational licensing contain "good-character" provisions, which, broadly speaking, allow state licensing boards to consider applicants' criminal records when deciding whether to grant, re-issue, or revoke licensure. While this may sound reasonable, licensing boards are often not required to consider whether there is any logical connection between an applicant's past conviction and the license for which he has applied. For example, one daycare owner in Wisconsin had her license revoked because of a 30-year-old misdemeanor conviction for "overpayment of public assistance." Not only does rejecting applicants for irrelevant crimes from the distant past have dubious safety benefits, it also limits the ability of ex-offenders to reintegrate into society. Economist Stephen Slivinski traced a connection between successful reintegration and the ability to obtain licensing, and found that states with high licensing burdens experience increases in recidivism rates, while states with lower licensing burdens generally experience reduced recidivism. Easing the path to employment for ex-offenders is no small matter: The Sentencing Project reported that between 70 and 100 million Americans have some form of criminal record, and more than 60% of former prisoners are unemployed within a year of being released. To account for the difficulties of reintegration, 30 states have adopted some form of "ban-the-box" legislation for public employment, meaning that applicants for government jobs are not forced to disclose past criminal convictions at the initial stage of application. Precluding such disclosure requirements from the early stages of licensure forms or tests would also make sense. As Reason's Eric Boehm has argued, if state governments are not permitted to pre-emptively inquire into an applicant's criminal history, it makes little sense for "quasi-government entities" such as licensing boards to be able to quickly disqualify applicants based on long-ago criminal convictions. By merely delaying inquiries into criminal history, licensing boards can still weed out truly dangerous candidates with relevant criminal records, while more-desirable candidates will not be prematurely eliminated from consideration. The federal government could lead the way by adopting ban-the-box policies for most federal hires and contracts, which would likely encourage more states and licensing boards to follow suit. During his final term, President Obama endorsed a ban-the-box policy for federal government hires, and in 2016, the Office of Personnel and Management proposed and enacted regulations that require federal agencies to delay inquiries into an applicant's criminal background until a conditional offer of employment has been made. While these executive-branch actions are steps in the right direction, Congress should solidify these policies. Democratic senator Cory Booker recently introduced the Fair Chance to Compete for Jobs Act, which would require federal agencies to defer disclosure of criminal records until after a conditional offer of employment has been made (although there would be exceptions for law-enforcement and national-security positions). The legislation would also extend ban-the-box to federal contracting jobs. Banning the box for federal contracting and agency jobs could have a cascading effect on state governments and licensing boards by influencing them to similarly delay inquiries into criminal history until later in the application process. This would be an especially meaningful change among licensing boards that use subjective good-character criteria to prevent people not only from getting jobs, but from even seeking them in the first place. The Federal Trade Commission, tasked with enforcing the nation's antitrust laws, can also play a role. Many state licensing boards function as de facto cartels, using economic rent-seeking to determine who can and cannot enter a particular profession. Such behavior has served as the catalyst for most modern antitrust laws, and yet state licensing boards have traditionally been exempt from scrutiny. This is largely due to a precedent set by the Supreme Court. Starting with the Court's 1943 ruling in Parker v. Brown — which upheld a California law that allowed the majority of raisin producers in the state to set the quantity and price of raisins — a series of decisions developed what came to be known as the "state-action doctrine." This has generally immunized state governments, including licensing boards operating under government auspices, from antitrust violations. But there are signs that this may be changing. In 2010, the FTC brought an enforcement action against a North Carolina dental-licensing board that had been actively trying to prevent dental professionals other than dentists in the Tar Heel State from offering teeth-whitening services. The board sent cease-and-desist letters to non-dentist teeth whiteners, which meant that non-dentists were locked out of the market and consumers were forced to use more-expensive dentists for whitening services. In 2015, the Court ruled against the board in North Carolina State Board of Dental Examiners v. FTC. It held that because the board was not actively supervised by the state government and was made up mostly of dentists — i.e., self-interested market participants — the arrangement violated antitrust law. This limitation in the state-action doctrine provides the FTC more opportunities to bring enforcement actions against other collusive and anti-competitive licensing boards around the country. The FTC can also file amicus briefs that take the side of those challenging anti-competitive licensing regimes. For example, it filed an amicus brief in the well-known 2013 Fifth Circuit case St. Joseph Abbey v. Castille, which involved a Louisiana rule that permitted only licensed funeral directors to market caskets within the state. Among other issues, the case involved the so-called "Funeral Rule" — a federal rule enforced by the FTC that guards against anti-competitive practices by funeral homes — which provided a federal hook for the FTC to file a brief. To be sure, having a federal agency police state licensing boards might raise the hackles of staunch advocates of federalism. Indeed, the original justification for immunizing state actions from antitrust law in Parker was largely based on principles of federalism. But as legal scholar Timothy Sandefur has pointed out, concerns over federalism in the antitrust context "[seem] weak in light of the fact that federal antitrust law has already deeply enmeshed the courts in national economic policy." Further, as Sandefur notes, there is "virtually no other context" in which states can unilaterally "immunize their citizens from the operation of federal statutes, let alone permit them to act in ways that are otherwise plainly illegal." Continued antitrust enforcement by the FTC in this area could have a domino effect, as states may be motivated to clean up egregious examples of licensing-board abuses within their borders. This might be achieved by reconfiguring their membership and supervisory structures. To assist with and incentivize such revamps, Senator Mike Lee and his colleagues have provided states with a roadmap: The Restoring Board Immunity Act lays out two frameworks by which state licensing boards can earn a limited antitrust exemption from the federal government by submitting to oversight. Either framework requires the state to use the "least restrictive means possible" to promote public health and safety through its licensing and certification regime. The first framework would require state boards to establish state offices tasked with day-to-day supervision of licensing authorities, as well as mechanisms for review. The second framework focuses on judicial action, specifically stipulating that states "create a cause of action under state law for judicial review of licensing laws under an intermediate scrutiny standard," among other requirements. Both frameworks would require states to create an affirmative defense that would shift the burden of proof onto the state in enforcement cases where the licensing excessively burdens the defendant's ability to work, similar to the requirements in the ALLOW Act. If states adopted either of the two frameworks, they would be eligible for a limited antitrust exemption. Overhauling antitrust immunity in this way could incentivize states to restructure their licensing boards and prevent them from acting primarily as self-interested cartels. Bringing enforcement actions and filing amicus briefs requires significant resources, and Congress should consider modestly increasing FTC funding to boost these efforts. Although any call to increase funding for a federal agency is likely to provoke protests among small-government advocates, right-of-center policymakers interested in licensing reform would do well to realize that modest increases in a discrete area of government can help to shrink the whole over the long run. Congress can also amplify the FTC's power by passing the Restoring Board Immunity Act, which would incentivize states to enact their own reforms. In some cases, of course, licensing rules are appropriate — and not within the federal government's power to directly change. States will continue to hold broad jurisdiction over licensing policies, and certain occupations — in medicine, for example — benefit from reasonable licensure requirements. Yet even when the federal government cannot exert direct control, there are several ways in which it can influence reform efforts and streamline state licensing regimes. First, the federal government can serve as a research repository and facilitator for states that wish to enter into compacts involving licensing laws. Interstate compacts allow license-holders to move more easily from one state to another without having to jump through repetitive hoops. These agreements operate as binding contracts that define interstate licensing requirements and allow states to share information regarding applicants, including any past disciplinary action. All such compacts are voluntarily entered into, thus ensuring that they cannot be used to infringe on state sovereignty. Far from being a modern innovation, interstate compacts were contemplated in Article I of the Constitution, which states, "No State shall, without the Consent of Congress...enter into any Agreement or Compact with another State." Despite the text's suggestion that congressional approval is necessary for any interstate compacts, the Supreme Court has ruled that such approval is needed only in situations where compacts might "increase [the] political power" of the states vis-à-vis the federal government. This has generally left states free to pursue agreements such as the Nurse Licensure Compact, which created a multistate licensing mechanism for nurses. A new version of this compact was implemented in January 2018 and currently includes 24 states. In 2017, the FTC took steps to assist states in creating such compacts by establishing the Economic Liberty Task Force, which aggregates research and resources for reforming occupational-licensing laws. Although the FTC is primarily an enforcement agency, it also possesses certain research and advocacy powers. Specifically, it can "gather and compile information" and "make public from time to time such portions of the information obtained by it...as are in the public interest." To that end, the task force began hosting a series of roundtables on occupational licensing, including a session that focused on license portability. By bringing together experts with knowledge of past successful compacts, the FTC can connect stakeholders from across the country and inform them of the best models available for facilitating license portability. The FTC could go even further by developing a set of best practices for interstate compacts as well as a template for expediting their adoption. The FTC could also provide valuable research on questions such as whether direct federal involvement might be warranted in occupations that involve interstate transportation or the provision of services across state lines. For example, the federal government grants pilots' and merchant mariners' licenses, and is heavily involved in setting requirements for commercial drivers' licenses — all occupations where the potential for interstate travel is high. In the era of telemedicine, it may be time to consider the ways in which technology has created more interstate "virtual travel," and whether the federal government would be warranted in creating more federal licensing options for such situations. The FTC's indirect powers also include its ability to file "advocacy comments" regarding pending state legislation. If a state is considering a specific legislative or regulatory proposal that deals with occupational licensing, the FTC can file comments that analyze the law or regulation and propose less-burdensome alternatives. In recent years, the FTC has consistently exercised this power to provide expertise about the anti-competitive effects of particular licensing laws — a perspective that might not otherwise be heard in a state legislative debate involving licensure. Many state legislatures operate as part-time institutions, meaning that even well-intentioned and reform-minded state lawmakers often lack the expertise and capacity to effectively advocate for licensing reforms. Engaging in this type of research and advocacy work takes resources, of course, as well as dedicated agency leadership. But it is worth noting that research and advocacy can be among the most cost-effective ways for the FTC to make a policy impact. Unlike full-scale investigations and enforcement actions (like the North Carolina dental-board case), advocacy comments can be written by a few staff members in a short amount of time and can influence state legislative and regulatory debates. To solidify the FTC's capacity to contribute in this way, Congress should consider modestly increasing FTC funding with an eye toward its Economic Liberty Task Force. There are several ways to direct funding toward this goal. While Congress traditionally appropriates general funding toward the FTC, which means that agency leadership determines how the money is used, lawmakers could also pass a specific line-item appropriation channeling funds toward the task force. And though acting chairman Maureen Ohlhausen has prioritized research and advocacy, a future leader could reverse course; nominating and confirming a permanent FTC chairman who will similarly prioritize these goals is therefore extremely important. Finally, Congress could create a specific division within the FTC that focuses on licensing issues. There is already a model in place for such an office: The Small Business Administration's Office of Advocacy is dedicated to advancing the views of small businesses within the federal government. The FTC version could be responsible for the agency's occupational-licensing advocacy, including oversight of the Economic Liberty Task Force and the filing of advocacy comments. While increasing funding is never a popular argument, Congress would do well to realize the cost-effectiveness of the FTC's research and advocacy initiatives in the licensing realm. Slightly increasing the agency's resources and locking in the right agency structure and leadership would allow the FTC to meaningfully expand this innovative work. Even when the federal government lacks direct power over state licensing laws, the impact of its indirect influence and support should not be overlooked. Given the intellectual and policymaking firepower that has been trained on the problem of occupational licensing, many reformers have been frustrated at the lack of sustained, large-scale progress. While outfits like the Institute for Justice have made laudable headway in overturning discrete licensing requirements via litigation and advocacy, for the most part, broader legislative efforts have not followed. States are often referred to as laboratories of democracy, after Justice Louis Brandeis's well-known formulation, but it is also true that states can look to the federal government for policy leadership. This can become problematic if the national government pursues policies and laws that infringe on state prerogatives, such as by engaging in aggressive preemption of state laws. But when federal power is used properly, it can spark worthwhile reforms across all levels of government. Until recently, policymakers have mostly overlooked the federal government's ability to influence the occupational-licensing debate. This is a mistake. Congress has numerous tools at its disposal — including legislation that has already been introduced — that would creatively assert federal power in ways that respect federalism. Admittedly, reliance on congressional action in any realm, let alone licensing, may seem like a fool's errand in these days of persistent gridlock. Regardless, lawmakers should consider isolating policies that can garner the necessary votes and seek to shepherd them through the legislative process. The executive branch is also well-equipped to make an impact. The current administration should initiate reviews of licensing requirements across federal agencies and in contracting positions and implement reforms. The VA's recent success in instituting scope-of-practice reforms for nurse practitioners provides a ready model. The FTC should also continue to step up its enforcement efforts and amicus filings in courts around the country to break up self-interested and monopolistic licensing boards. In situations where state licensing laws remain outside the reach of direct federal power, the FTC can take advantage of indirect tools, such as facilitating interstate compacts, and contribute through research and advocacy. To amplify the effects of these efforts, Congress should consider modestly increasing FTC funding in the coming years. By adopting a combination of these policies, the federal government could make a tangible difference in the lives of those affected by onerous licensing regimes, and finally break through the licensing logjam. C. Jarrett Dieterle is the director of commercial freedom and a senior fellow at the R Street Institute. Shoshana Weissmann is a policy analyst and digital-media specialist for the R Street Institute.